Obituary for Lynn D. Whyle | Langeland Family Funeral Homes, Inc. Passed away Monday morning, April 16, 2018 at her home. Lynn was born August 10, 1946 in Kalamazoo, the daughter of the late Charles and Evelyn (Swan) Senne and had been a lifelong resident in the Kalamazoo area. She was employed for 30 years with the Upjohn Company and enjoyed doing crafts which involved quilting and needlework. She also enjoyed spending time on the computer and doing volunteer work in Lake Placid, FL for five years, just after her retirement. Lynn especially enjoyed spending time with her family and was always happy to meet new people. On October 25, 1985 she was united in marriage to her loving husband Robert "Bob" Whyle III, who survives. Also surviving are her children, Julie (Ben) Glazebrook, Stephen (Sarah) Bauserman; 3 grandchildren, Kelsey Emery, Carly and Alexander Glazebrook; step-children, Deborah Waite, Carla Harrington, and Robert Whyle IV; brother, Richard Senne; and several nieces and nephews. 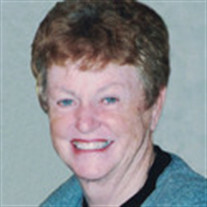 Lynn was preceded in death by a sister, Patricia 'Patti' Capman. Services will be held at 11:00am Saturday, April 21 at the Langeland Family Funeral Homes, Portage Chapel, 411 E. Centre. Friends may meet the family from 5:00-7:00pm Friday, April 20 and from 10:00-11:00am Saturday prior to the service at the Portage Chapel. Interment will be at Riverside Cemetery. Memorials may be directed to Grace Hospice.